Localz was excited to be at National Retail Federation's 105th Annual Expo in New York City. The biggest retail event for 2016 with the title “Retail’s Big Show” included over 33, 500 attendees, hundreds of sessions, many exhibitors and variety of displayed technologies. 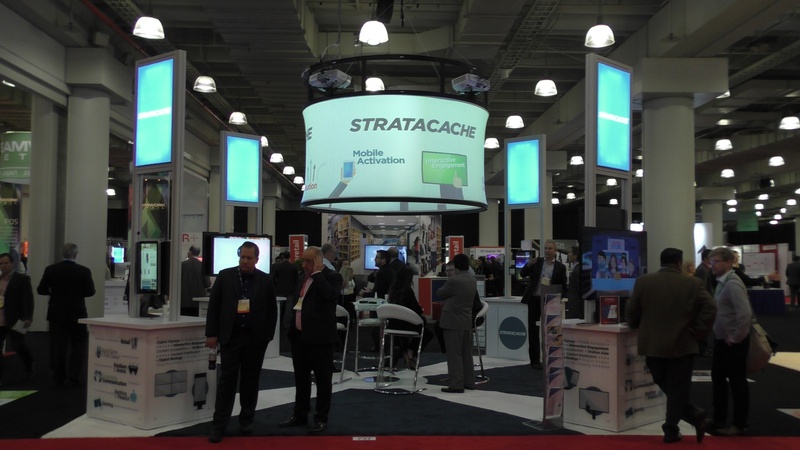 At the NRF event, Localz was showcasing together with Stratacache, a digital signage company, where we illustrated how location technology enables retailers to enhance the customer experience in-store. At our joint stand, exhibitors could see the latest in in-store technology. Together with Stratacache, Localz demonstrated how beacons can send information to customers as they are in close proximity to products, departments, or digital signage placed in-store. Our booth generated a lot of interest and Localz team enjoyed talking about how the technology works. Thank you for the great show and we look forward to seeing even more attendees at National Retail Federation’s Big Show 2017. To see more of Stratacache and Localz, come to the Retail Digital Signage Expo on the 9th and 10th March. We are going to be at stand C9.